In this case study, Sport Event Security Expert and best-selling author, James A. DeMeo, M.S., analyses how venues can work towards ensuring fan safety in today’s uncertain times. The tragedy coming out of the Las Vegas-Mandalay Bay mass shootings, a black swan event has event security leaders rethinking the playbook for properly safeguarding today’s confined spaces. The concept of an aerial assault prior to the event was unfathomable. Security leaders entrusted with duty of care responsibilities have to literally go back to the drawing board on how best to prevent a copycat incident from occurring.The loss of lives was without question catastrophic. The question now begs: Where do we go from here? Security leaders can make a monumental impact in the vertical by sharing best practices and lessons learned with their industry peers. Confined space protection refers to densely populated areas where people, in the case of Las Vegas, music fans congregated to watch a particular performance. The Country music singer Jason Aldean, his first reaction to the shooting was that perhaps there were some speaker, sound system issues. His security team instructed him to leave the stage as the tragedy unfolded. Members of Aldean’s crew hid underneath the stage in an effort to shelter in place from the fuselage of bullets coming from the shooter who was situated on the 32 floor of the Mandalay Bay Hotel & Casino. When we look back to Manchester Arena and the Paris Soccer [Stade de France] stadium bombing, we see the importance of event staff maintaining situational awareness, and having the ability to lead patrons to safety during times of crises. Proactive risk mitigation event staff training is a key component in best confronting these types of challenges. The integration of technology, physical security screening measures, biometrics, LPR-licence plate readers, effective communications between first responders and event staff, crowd control, crowd dynamics, understanding patron demographics, along with responsible social media monitoring can play a monumental role in helping to prevent/reduce the loss of life concerning the proper safeguarding of future events. Foster public/private partnerships, JTTF: Joint Terrorism Task Force, and Fusion centers, U.S. Marshals. Offer verbal de-escalation skills training for your staff. Treating people with dignity and respect is key. In summary, we are seeing post Las Vegas the inherent liabilities contract security, hotel/hospitality/tourism and concert promoters are now facing. The importance of brand protection, business continuity and resiliency cannot be underscored in these endeavors. The constant ebb and flow of safeguarding a multi-billion juggernaut, today’s sports and entertainment industry is a constant work in progress. Safeguarding these confined spaces is not a fear based model but one based upon employee empowerment. Proactive training, education and career development resources for those protecting the space will be the difference maker in keeping fans safe and secure. Thank you. The writer of this article, James A. DeMeo, M.S. brings extensive security, law enforcement & consulting experience to both the public/private sectors. DeMeo was recognised by Security Magazine as one of The Most Influential People in Security 2017. 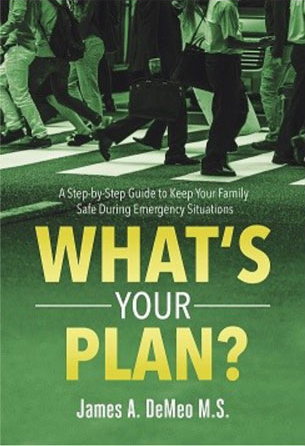 He is also the author of the bestselling book on family safety & preparedness entitled, What’s Your Plan? A Step-By-Step Guide To Keep Your Family Safe During Emergency Situations. 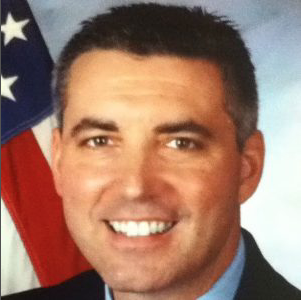 DeMeo is a distance learning adjunct instructor for the highly regarded Tulane University School of Professional Advancement-SOPA, where he teaches graduate students about event security and risk management.